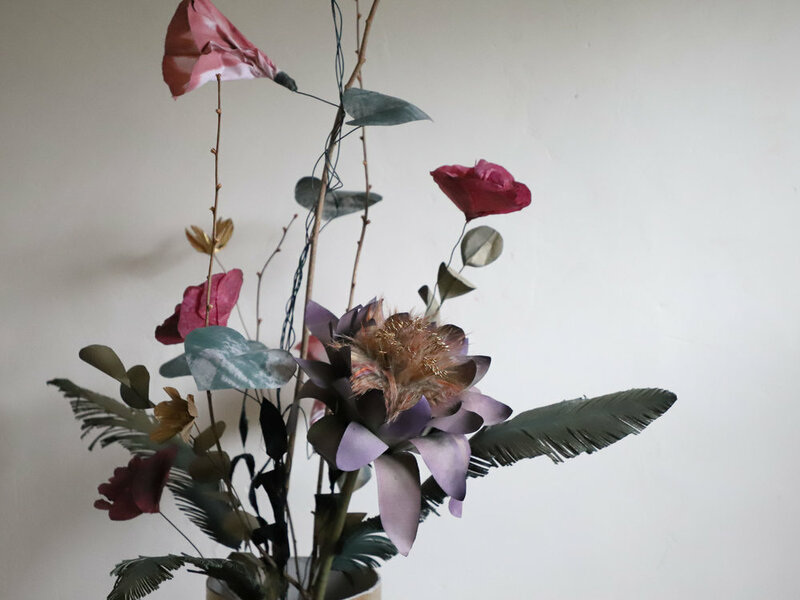 Centerpiece made of handmade paper and fabric flowers, hand-dyed and painted. Inspired by artichoke flowers. 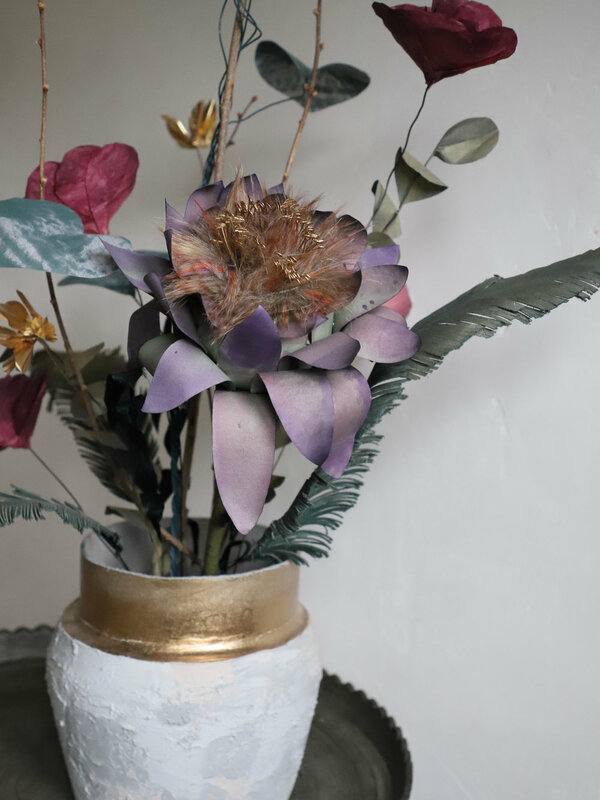 The custom vase is made of plaster.